Retreat allows you to leave behind your daily concerns and focus on your own inner healing and spiritual development. There will be plenty of time for meditation and spiritual sharing. Join with like-minded individuals who are committed to becoming capable of benefiting living beings. Each session features daily teachings by Domo Geshe Rinpoche, various special interest classes such as Mandala Building, Mala Stringing, Tai Chi, Yoga for Meditators, as well as personal and group meditation practice. For each session, Check in is from 2-4pm on the first day. Check out is between lunch and supper on the last day. Arriving early or staying late needs to be prearranged with the retreat coordinator and involves additional nominal charges. When attending more than one consecutive session, the intervening day is included without additional charges. Tenting: You may choose to camp under the stars either on the land surrounding the Hermitage, or in a more secluded setting amongst the pine groves at Norbu House. Shared: Our renovated granary serves as a rustic dormitory for those wishing to remain indoors. Double or Single: RVs, Campers and inside rooms are available at the Hermitage and Norbu House, first priority given for those with special needs. Delicious vegetarian meals are included. This year, with the support of many, Norbu Retreat House is nearing completion. We are so pleased to have this new land and house that allows us to expand our retreat offering. For the first time, White Conch is offering three sessions of summer retreat. You can come to any or all of them. Each session is self-contained, and yet extended attendance allows one to go deeper into the transformative retreat process. We are pleased to offer three exceptional topics and empowerments by our precious teacher, Domo Geshe Rinpoche. Our daily life, as well as all the "good and bad luck" that comes to us, is a result of our own karma. Often it comes cleverly masquerading as someone else's fault. However, we created it and we can change it. Benefits of improving our karma include increased opportunities to practice dharma and benefit others. What could be better than that? compassion as the basis for attaining enlightenment. This session will also include the special teachings given by Rinpoche during a weekend retreat in 2010 on tantric refuge. The teachings will be viewed on video and sessions will be facilitated by Rinpoche. After attendance at this teaching, students have permission to add tantric refuge to their Green Light practice. There will be a Tsok Offering Ceremony near the end of the first session. A commentary on tsok will be given and retreatants will have the permission and commitment to offer Tsok monthly after attending this session. Retreatants attending this session should bring a tsok offering or some funds to contribute towards the purchase of Tsok offerings. The most beloved of all the Vajrayana deities, Green Tara is the female Buddha of Compassionate Action. Known as the "Swift Savioress," her right foot is always extended, ready to rise at a moment's notice to aid and rescue. Tara was the primary meditational deity of the great Atisha, who brought the transformative compassion practices to Tibet. 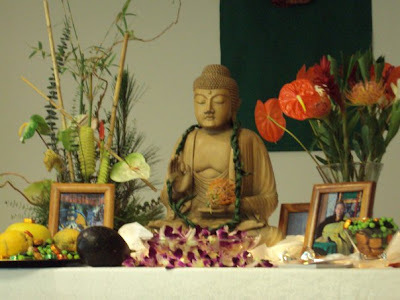 Come receive the empowerment of Green Tara and begin, renew or deepen your relationship with this glorious Buddha. This session includes a commentary and instructions on the practice of Rainbow Purification. Following attendance at this retreat, participants will have the permission to practice Rainbow Purification daily. Known as the "second Buddha," Je Tsongkhapa was acknowledged to be an emanation of Chenrezig, Buddha of Compassion; Manjushri, Buddha of Wisdom; and Vajrapani, Buddha of Power (to destroy the obstacles that prevent one from enlightenment.) The meditational practice of Je Tsongkhapa, known as the Ganden Lhagyama (The Hundred Deities of the Land of Joy,) is like doing the practices of these three Buddhas. 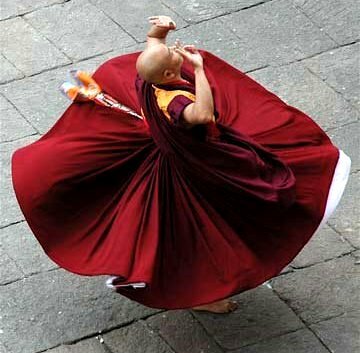 Rinpoche has only bestowed this empowerment three times in this incarnation. Don't miss this rare opportunity to receive the empowerment of Je Tsongkhapa. Click here to hear Rinpoche sing Migtsema, the 5-line mantra of Je Tsongkhapa. Retreat is just around the corner, and we are busy getting Norbu House ready. We hope to see all of you at retreat this summer. Following retreat (Aug 4 & 5,) White Conch will be offering a 2-day intensive that will complete the teaching portion of Level 1 (modules 7-12) of Hospice Training. Participants at this program must have completed Level 1; Modules 1-6 previous to this in order to attend this special 2-day event. Register for this 2-day intensive here.